It’s September, and if you’re in Canada that means one thing: curling season is starting again! New Westminster’s Royal City Curling Club is having its fiftieth year of curling this season, so it’s the perfect opportunity to try curling or, better yet, get your kids curling! 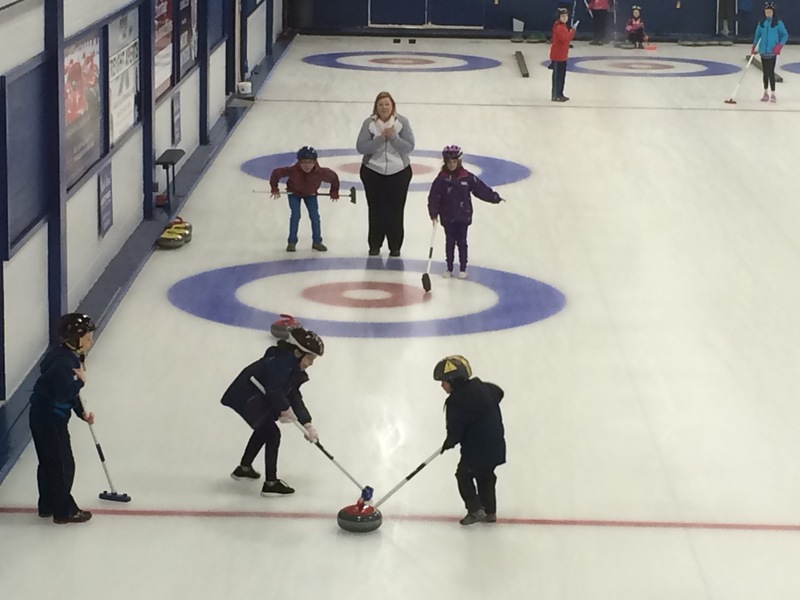 The RCCC has a program designed just for introducing curling to children aged 6 to 9 called Little Rocks. Your child will learn some of the basics behind curling, including curling sportsmanship, ice safety, sweeping, scoring, and delivering a stone. The instructors range from seasoned curlers to juniors who have been curling since their own Little Rocks days. While your kids won’t be entering the Olympics just yet, they’ll be given the opportunity to learn some new skills while having fun on the ice. And as a part of the Little Rocks program, they have a Christmas party where there are prizes to be won — last year my daughter won a turkey! Older kids have their own programs as well: Intermediate for ages 10 to 12, and Junior for ages 13 to 19. Junior curlers have their own tournaments held locally and abroad, and can even win scholarships from Curling Canada! But suppose you’re an adult and you’ve always wanted to try curling, or you curled when you were younger and want to give it another try. Don’t worry, the RCCC has Novice and Intermediate clinics coming up on September 18 for only $15. Visit that link for more information, and call or email promptly as spaces go quickly! Of course, clinics only last for one day. If you would like to curl on a more regular basis but might be intimidated by the level of curling, don’t worry, the RCCC has a number of leagues that are very open to new curlers. I curled in the Saturday Night Mixed league for two years, and I can say that it is an incredibly friendly and forgiving league. All of the people that I curled with and against were nice and often gave tips to beginners and novices! And because I’m legally obligated to pun it up when writing a curling article, let me finish off by saying this: hurry hard down to the Royal City Curling Club so you can get swept up in the excitement of curling! On July 10 we held our Spare Parts Adventure pop-up playground. We didn’t have any clue how much interest there would be or how many kids would show up. We vacillated between “what if nobody comes?” and “I hope we printed enough waiver forms!” We had a lot of materials donated by members of the community, but we weren’t sure if it would be enough. July 10 came around and at 10am the kids started coming. And coming. And coming! 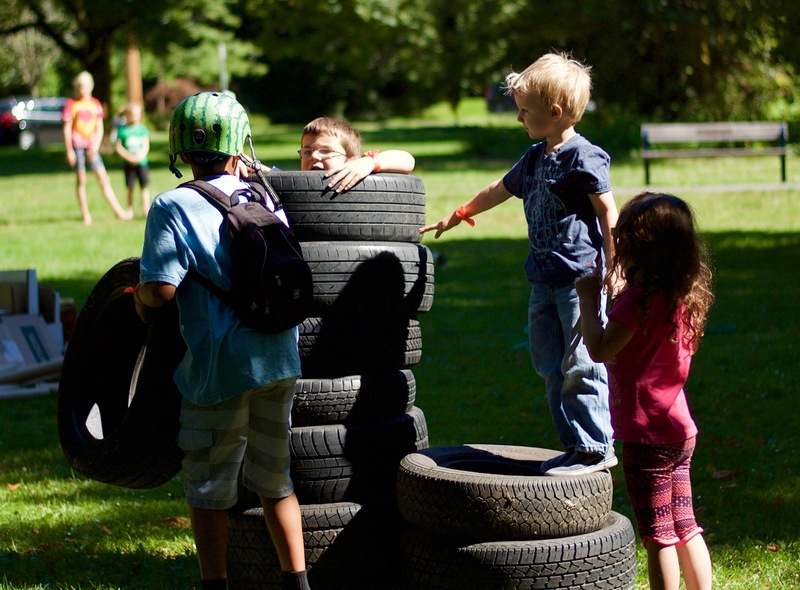 The tires were big hits — the first things the kids made were tire swings. Old baseboard wood made the framework for tents. A shipping pallet became a bed. PVC pipe became masts for boats. The Spare Parts Adventure was a great hit! Every kid I talked to had a great time. We only had a couple of minor injuries, just splinters, and they were expertly handled by St. John Ambulance attendants. Families came out and had picnics, which let the kids stay and build for a couple of hours — plenty of time to hammer some nails and have a lot of fun! As with any event like this, there’s a long list of people and organizations to thank. 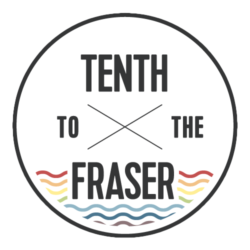 We couldn’t have done it without a Neighbourhood Small Grant from the Vancouver Foundation. We received materials from Steel & Oak, Bunches & Blooms Floral, Matchstick Coffee, Foreman Auto, and Timbertrain Coffee. We also received a lot of supplies from Peter Foreman, Lindsay Hamilton, Michael Kaisaris, Dee Beattie, Jen and Ross Arbo, Rick Vugteveen, Christa MacArthur, and Bunka Sandhu. The Ecole Qayqayt Elementary School PAC spread the word and donated a bunch of tools and materials. And of course thank you to the volunteers who helped with sign up, set up, clean up, and supervision. We had over 115 kids come out and enjoy building things with their own hands. Thank you to every one of them for showing us what a little imagination can build! 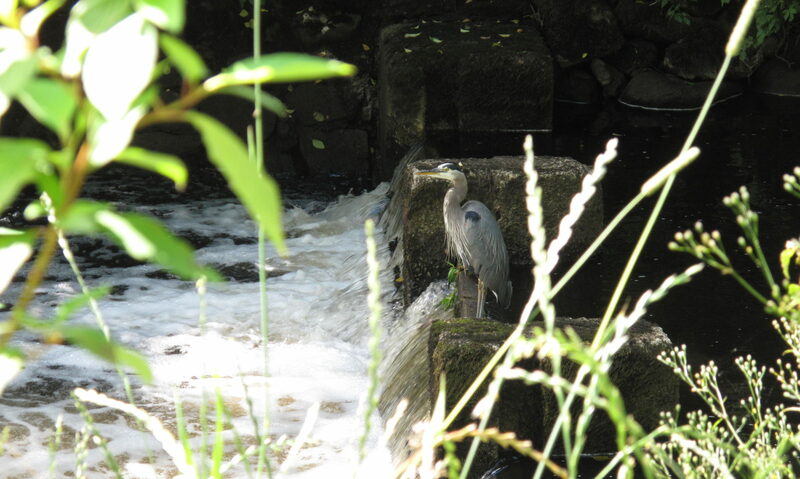 Check out the gallery below!